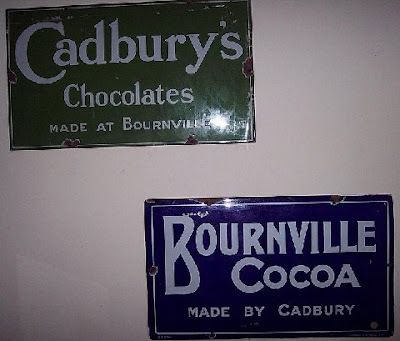 As much a comment (as a new blog ) , on yesterdays interesting piece by the Bowster, as signs are my stock in trade, especially the history of signage, I was wowed by the porcelain piece in the blog.... and can well understand the value put on it...by the sheer fact it didn't get broken in the last 100 years. 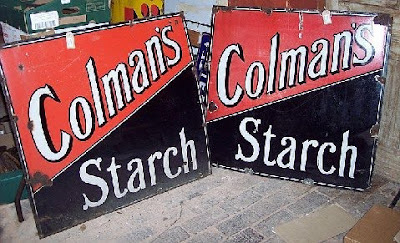 Colourful mass produced, long lasting , cheap, signs almost had to wait for Industry to invent itself to be able to happen. as signs if they are to carry an effective message from a building, with all the loss of size in perspective that that entails, have to be larger than you think. 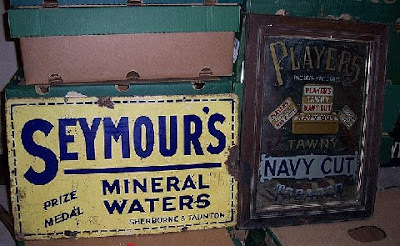 The ability to create Tin sheets that could be coated with enamel and painted with enamel lettering were a giant step forward in advertising in this country, tho Brewers didn't take these up as much as did the Tobacco, Chocolate and Newspaper industry, ( usually placed en-mass around the doorways of Newsagents, ) and the most common relics from the past that you come across on visits to architectural reclamation sites are examples of these and for household goods.. They fetch very high prices ( $200 upwards ) for even the simplest and bad condition ones, and I always snap them up and restore them. 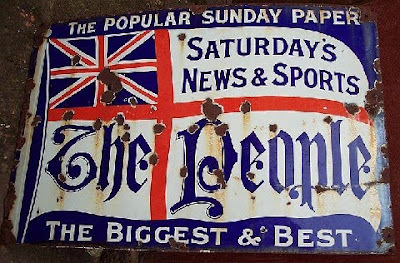 The one at the top of the page is an old advert for The Sunday People which still exists today. 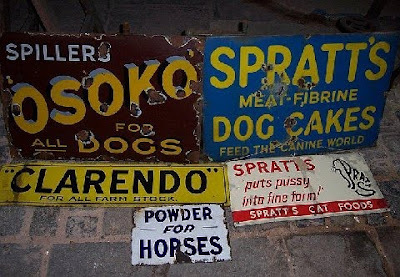 More signs from my Collection waiting to be restored or sold. 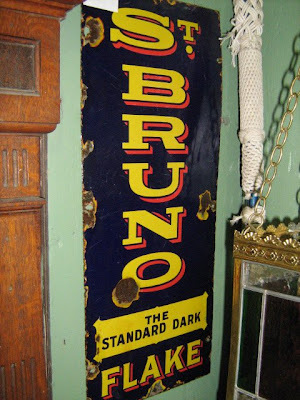 As I have said beer ones are extremely rare and hard to find as they tended to stick with Wooden, painted signs till plastic came in. 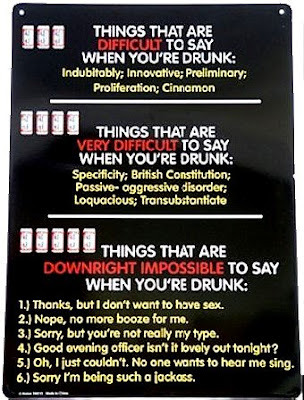 But modern Drinking signs are making a comeback in metal and the example below may amuse and entertain you over the festive season as we relax and forget all about Advertising Selling things for a while . Like the last sign a lot. 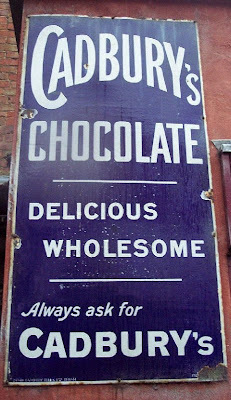 I have a few old metal signs myself from the 40's and 50's. In my defense i try and make my signs appear hamonious and logical to the view and period while still informing. As the Wise man said on the way to Galilee with his Myrrh and Frankincense... "Its a Sign"
I'd have to say that at least half of the photos I took in England were of pub signs (mostly so I could remember where I had been). 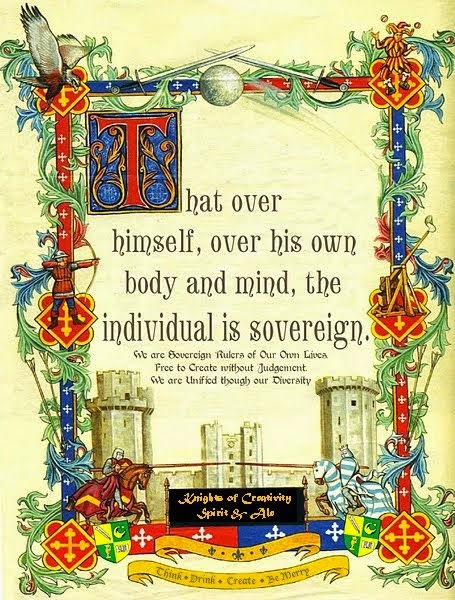 But, I also love the images and art -- storytelling with graphics. 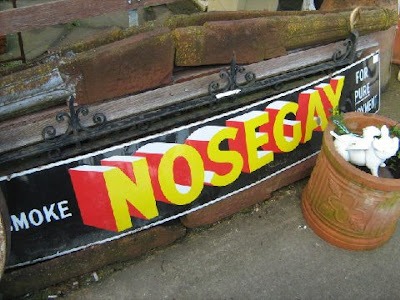 In this country some communities have let signage grow like weeds. I hate that. In fact, I should print a few hundred signs that protest "NO MORE SIGNS!"